The flowers provide joy wherever you place them. 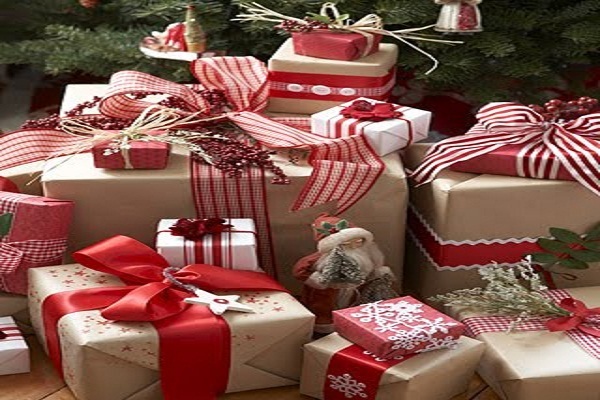 But in addition to this, they can help you to decorate, either by how and where you put them, by the containers you use for it or by the plants themselves. 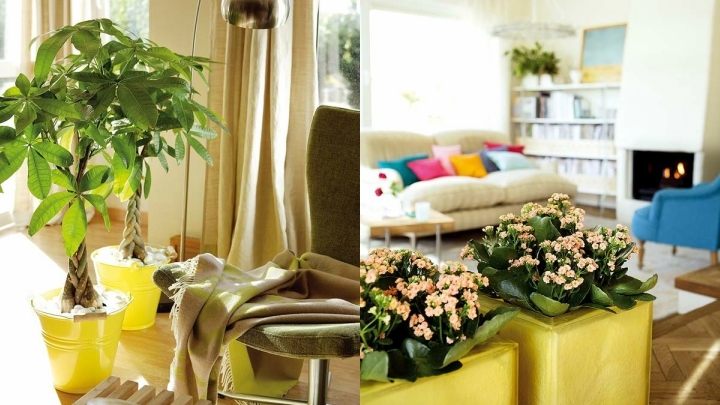 Today we are going to see 8 very decorative ideas to get the most out of your indoor plants. Dare to bring color and nature to your home. You will see how beautiful they are! The first idea that I tell you is one of my favorites. Consists of using bulbs as containers for your flowers. You can make them yourself with bulbs you no longer use, emptying them and introducing your plants inside. They also sell them in the market already prepared for it, with openings in the wide part of the bulb to put there your flowers and not on top … Hanging from the ceiling are very cool. Another way to use interior plants in your decoration is to use them to differentiate different spaces within the same room. For example, you can place them to delimit the area of the living room and separate it from a reading area, for example, where you put a chair and good lighting to enjoy your books. 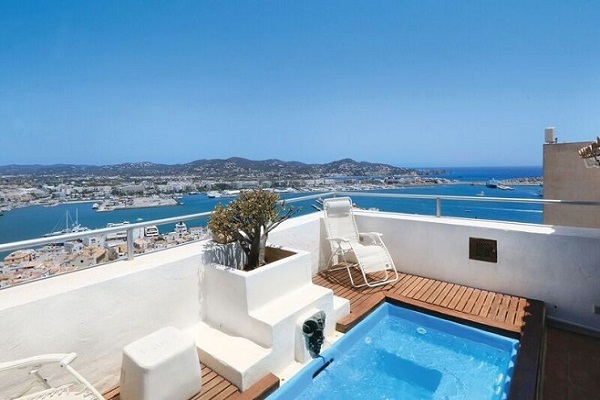 The presence of plants, in addition, will help you to relax much more in this space. Put your indoor plant in a clear glass container and place white stones on the base. The contrast of the colors will create a very cool effect. You can do it with green leafy plants or brightly colored flowers. 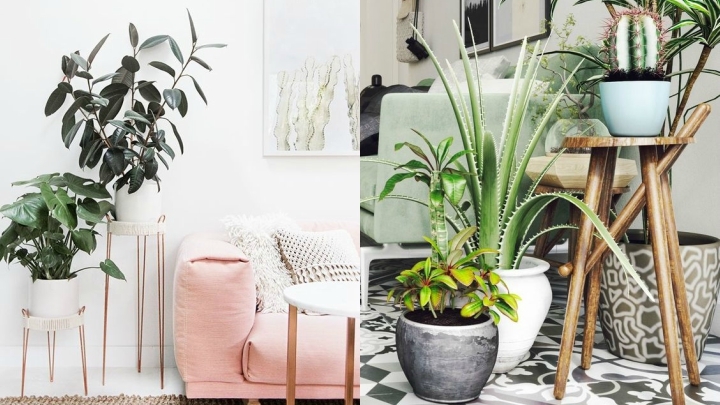 They will look great with the succulents, for example, although the truth is that the white combines with any species you like for your home. 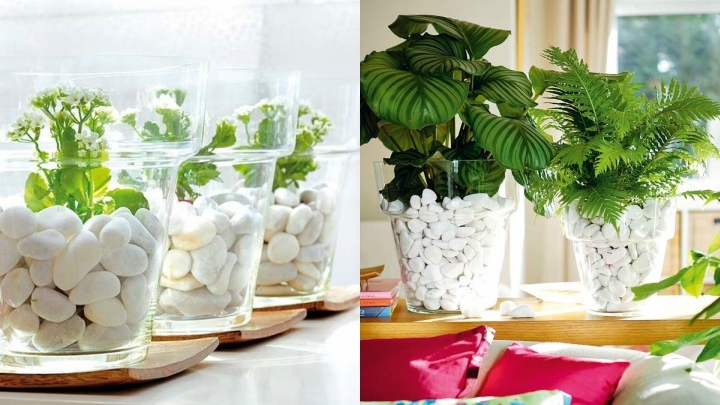 One version of the above idea is to put your plants equally in transparent containers but leaving the earth in sight. This is great, for example, for orchids, whose roots are also very decorative. Another idea that I like is to place several of these glasses on a shelf, in line, and leave in them some green leaf plant that has the same height as the earth. Although sometimes we forget about this stay when we think about the decoration of our house, the truth is that the flowers are amazing also in the kitchen. You can use aromatic plants like basil, which also provides a great natural scent, and place them in glass containers, in custom clay pots … Do not underestimate the power of plants for any stay of the house! 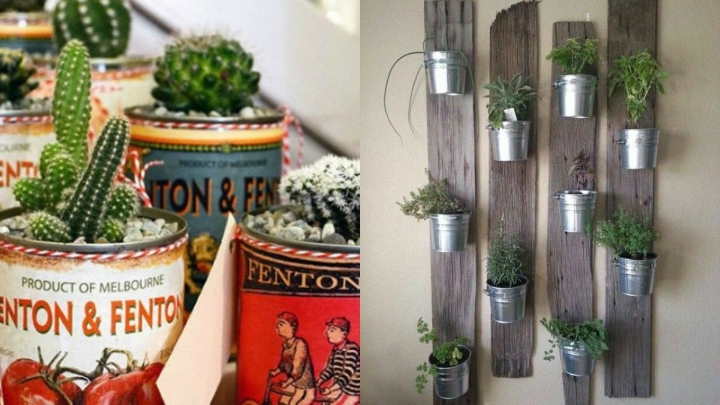 Metal cans add an extra decoration to your plants. You can use old cans with vintage style or small cubes in gray, all the same, to design a nice composition like this you can see in the image. Of course, remember that the boat serves to cover the pot, do not insert your flowers directly into the metal. If you use small plants, you can play with the containers. But you can also choose to decorate with XXL plants. The kentia is an indoor palm that becomes an interesting option. Use a tall pot and place it in a place that has room to grow comfortably.